Sony computers have recently launched a new strong and stylish laptop in their SR series, the Sony Vaio SR46GD. 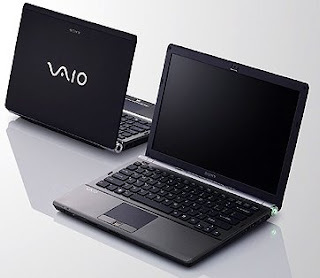 Sony Vaio SR46GD is loaded with new features and it is an upgraded version of the Sony Vaio SR36GN. The laptop comes with a matte black finish design which makes it looks strong and sturdy. This amazing 64-bit laptop comes with genuine Windows Vista Business Service Pack 1 and it also comes with a language pack. Powered with the latest Intel Centrino 2 processor technology the Sony Vaio SR46GD delivers some unmatched high speed performance. It uses the Intel Core 2 Duo P8700 (i.e. 2.53 GHz) for its processing. Sony Vaio SR46GD has a pre-installed DDR3 type RAM of 4 GB which is divided into two SO-DIMM type slots, this feature helps to increase the application processing speed and enhances the overall recital of the laptop. The size of the hard disk is 320 GB which helps you to store large volumes of data. Sony Vaio SR46GD comes with an excellent Graphics accelerator, ATI Mobility Radeon HD 4570 and has a dedicated video memory of 512 MB. Sony Vaio SR46GD is loaded with other prime features like 33.8 cms of TFT bright color display screen, 2 slots of USB 2.0, wireless internet connection, PSB (processor system bus) of 1066 MHz, 3 MB cache memory for storing temporary data, finger print sensor for prevention against unauthorized usage and Bluetooth connectivity. Sony Vaio SR46GD is an ideal choice for those who are looking for a good laptop with high computing features and highly user interactive. Sony Vaio SR46GD weights just 1.99 kgs and is available for MRP Rs 74,990(INR).